A cold night that makes your breath freeze right before your eyes. A shady alleyway. Flickering shadows from the light of a burning trashcan. Just out of sight from the street where the less fortunate protect themselves from the cutting winds. Right in the middle of the capital of the world… but the shady and dark heart of it. The sound of footsteps behind you. You are too afraid to turn around and look. Your friends said you shouldn’t walk through these streets this late, not in this part of town. But you did not listen and it feels like you are going pay for for your cockiness. This is not a place where you can hope that Thor, the God of Thunder, will hear you if you run into the wrong people. The Avengers are too busy protecting the planet to even notice this small crime stuff, so not even the distant light of Avengers tower bestows any hope on you. Tony Stark is too busy attending some gala in Midtown to see how the dark figure approaches you from behind and pushes you into a dark corner. A rather large knife is pulled out and you are asked for your wallet. Deep down you know. You know that even if you give up all your money, all your jewelry, even if you give up everything you have on you, this guy will not just let you go. He doesn’t even try to hide his face. Even God cannot help you now… but maybe the devil can. Without making a sound a red clad silhouette drops off the 10 story rooftop, flips in midair like an acrobat from hell and lands right behind the guy with the knife. He pulls him back into the shadows and you only hear the devil do his work… Hell’s Kitchen’s own devil… Daredevil! 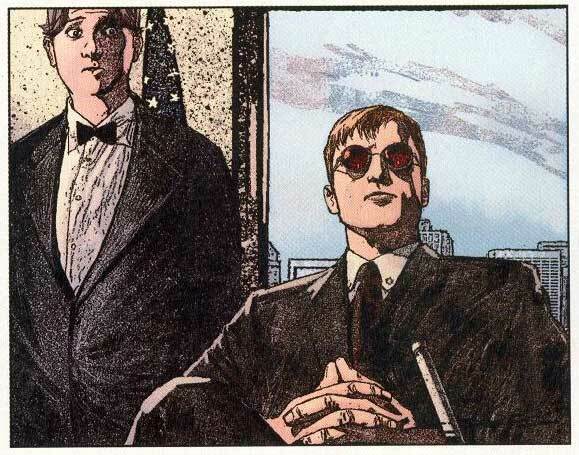 With one of Marvel’s most grounded and dark characters making his way to his third live action appearance, all thanks to the upcoming Netflix show “Marvel’s Daredevil”, it’s time to give the devil his due with an in-depth profile on Matt Murdock himself! Tuck yourself in on this cold night, but rest easy knowing the guardian devil will watch your back while you read this and enter Hell’s Kitchen NYC with me, to find out where the Man Without Fear comes from, where he is going and what he is all about, just in time before you see him emerge in what is going to be Marvel Studios darkest story ever! Created in 1964 by Stan Lee and Bill Everett (with big input from Jack Kirby, who as usual, doesn’t get the credit he deserves, but this is a whole other In-depth Profile in the future), Daredevil first appeared in Daredevil #1 in April 1964. His costume was designed to look like an acrobat’s outfit in yellow and red, but after Wally Wood started drawing and inking the title at issue #5 he introduced his famous red suit in issue #7. 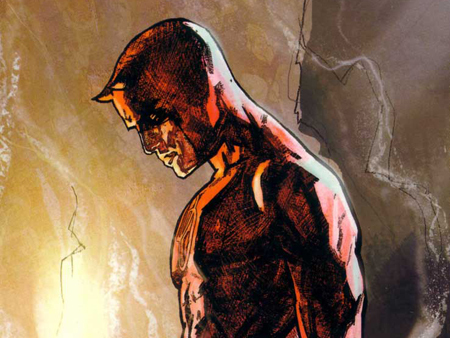 Daredevil told the story of young Hell’s Kitchen resident Matt Murdock, who lost his eyesight in an accident when he tried to save an older man from an oncoming vehicle. The resulting crash hurled a radioactive substance the vehicle was transporting right into young Matt’s eye, turning him blind on the spot. That was not all though, as the radioactive substance (as radioactive substance does in comic books) gave him superpowers in exchange for his eyesight: suddenly Matt was able to use his other senses in extremely heightened ways, he even developed a sort of radar sense that kinda allows him to “see” his surroundings. His father, the boxer “Battlin’” Jack Murdock supported him growing up, but worked for the mob to make ends meet as a low level enforcer. His mother left the two shortly after Matt’s birth and entered into a convent to become a nun and follow her faith. Due to his parents strong beliefs, Catholicism is a big part of Matt, which gives the whole “dresses like the devil” bit another layer of symbolism and oomph. Feeling the fighting nature of himself come up in his son’s genes, Jack keeps a tight leash on Matt as he grows up and urges him into studying and becoming somebody, keeping him away from the street and fighting. But Matt continued honing his new found senses on the rooftops of the city by night. While Matt is attending law school to become a lawyer his father is asked by the mafia to throw his upcoming fight, which is the most important one of his life. In an attempt to make his son proud, who sits ringside to hear his dad fight, Jack wins the fight anyway, but pays with his life for that. Matt then fashions himself a prototype costume and decides to take the law into his own hands. A lot of pain and blood later, Daredevil was born. The details of the story changed over the years, as stories do, but those are the core concepts of his origin. Daredevil went on to be a pretty lighthearted character in the 60s and fought goofy villains like Stiltman, the Owl or the Gladiator. Matt even ventured to another city, San Francisco, under the pen of writer Gerry Conway and had a few very sci-fi inspired adventures for a while, with Black Widow as co-star! It was all pretty standard Marvel comic fare for that time, until a man named Frank Miller came onto the scene in the late 70s and changed the character and — not to sound hyperbolic but — the game of mainstream superhero comic writing itself! Roger McKenzie took over writing duties in 1978. McKenzie was used to working primarily in horror comics, so his work darkened the character for the first time. 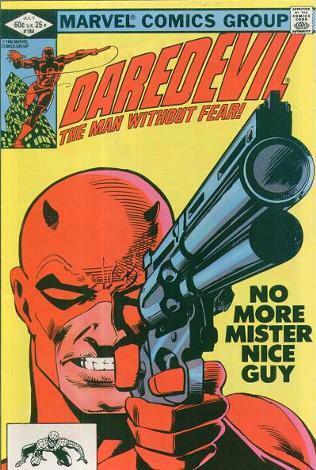 Even the stories took a darker approach, with Daredevil fighting the personification of death itself! A year later a young up and comer in the comic industry joined him as artist on the book: Frank Miller in Daredevil #158. Due to low sales the series was on the verge of cancellation and Miller was very dissatisfied with McKenzie’s scripts, which led to him threatening to leave the title for good. Editor Danny O’Neal fired McKenzie and brought Miller on as artist AND writer to appease him, out of fear to lose an up and coming talent. It was a big gamble to trust Miller, since he only had done a few back ups and single issues as a writer at the time, but it paid off. BIG TIME! Miller’s version of Daredevil was grounded in reality, like mainstream superhero comics hadn’t seen like maybe the first few issues of Batman’s run in Detective Comics in the 30s! He began to fight real stuff, like drug crime, random violence and organized crime in a real part of New York City, which really had a lot of problems like that at the time! 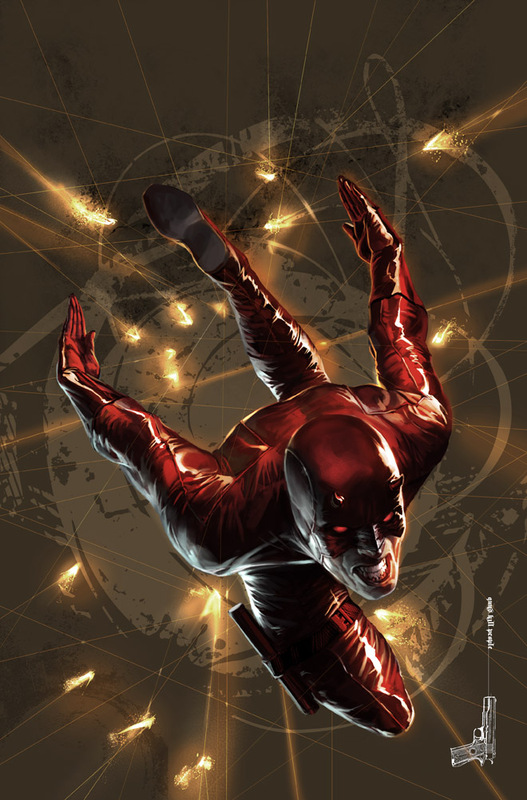 Miller kept some of DD’s villains around, but focused on the most realistic ones and added mob bosses, the mafia and characters like the Kingpin Wilson Fisk (a former Spider-man villain, who is now considered Daredevil’s main archnemesis), Elektra and the sociopathic/psychotic Bullseye to the series, next to introducing ninja and eastern philosophy into the backstory of the character, which explained his great fighting and stealth skills by learning them from a ninja master who is also blind, called Stick. Miller even turned DD into more of an anti hero, which was a very rare thing in those days. How much of an anti hero you ask since anti heroes are more or less normal today? Well, Matt even went as far as dropping an enemy from a rooftop in the hope of killing him, but instead turning him into a quadriplegic and then visited this guy in the hospital, to play a few rounds of russian roulette. The gun wasn’t loaded, but still. He doesn’t have those red horns for being a nice guy, you know? 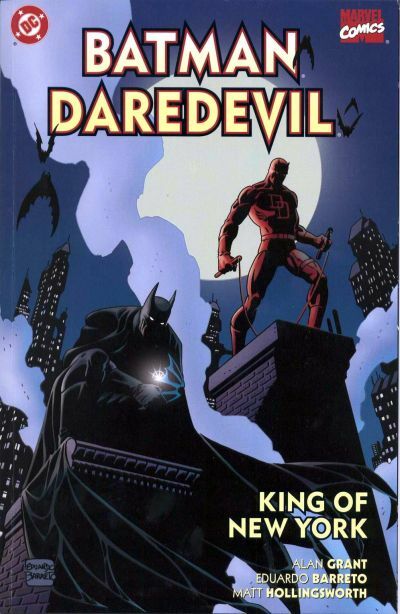 The legendary comic writer even returned to the character twice: first in the “Born Again” saga (1986), where he broke the character down, to build him up again from scratch, and secondly the modern reimagining of Matt’s origin (imagine Daredevil Year One) with “The Man Without Fear” (1993), which looks like the primary source of inspiration for the Netflix show, that even uses the proto Daredevil suit straight out of the comic. Miller’s run on the book was controversial, but groundbreaking and very successful. So it is no wonder that this incarnation of the character has been used since then almost until today. 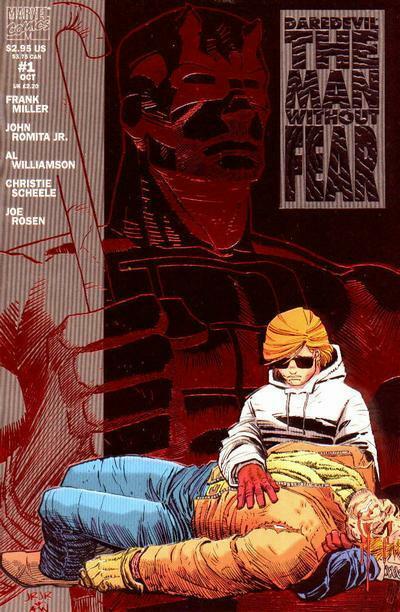 Brian Michael Bendis’ run on the title, which followed filmmaker Kevin Smith’s short stint that rebranded the title under the darker Marvel Knights imprint, is considered to be the second definitive one after Miller. It too was steeped in the grey zone between doing the right thing and vigilante justice and dealt with a newspaper article that threatens to reveal Matt’s secret identity to the public. Recently Mark Waid led the character out of the darkness for the first time in decades, with a very successful, much brighter and hopeful run, but even here the character retained his dark undertones. A lot of people who haven’t read much or anything about Daredevil are quick to put him down as just Marvel’s version of Batman. While he surely has a lot of similarities with DC’s dark vigilante (ninja skills, smart mind, using stealth and fear as weapons, having seminal works written by Frank Miller, having seminal re-imagenings of the origin story by Frank Miller), to simply say he is the same guy or even a rip off is false. A lot of Daredevil stories deal with the moral implications the vigilante’s work has on the character and his surroundings, which is not a huge headache for Bruce Wayne at all. The whole aspect of him being a handicapped superhero is pretty unique too, just as the fact that with Daredevil you sometimes get** clever courtroom drama** mixed into your superhero cocktail and outside of their superhero personas both Bruce and Matt are as different characters as they could be. As I said before, the upcoming Netflix show makes DD’s third live action outing, after turning up in the TV movie “The Trial of The Incredible Hulk” 1989 (a sequel to the old “Incredible Hulk” TV show with Bill Bixby), which was keeping in tone with a show where you just paint Lou Ferrigno green and call him the Hulk, for better or worse. After that Ben Affleck went on playing him in the 2003 movie “Daredevil”, which is today considered as one of the worst superhero movies ever. While I agree that the movie is not exactly good, it gets an unnecessary bad rep especially since it doesn’t stray too far from the comic inspiration. Its problems don’t lie with its relation to the source material, or even on Ben Affleck who tries really hard. The movie is just full of really really badly written scenes. Remember the playground fight? Yeah. That happened. So now it’s time for old horn head to get his third chance and as we all know… third time’s the charm! 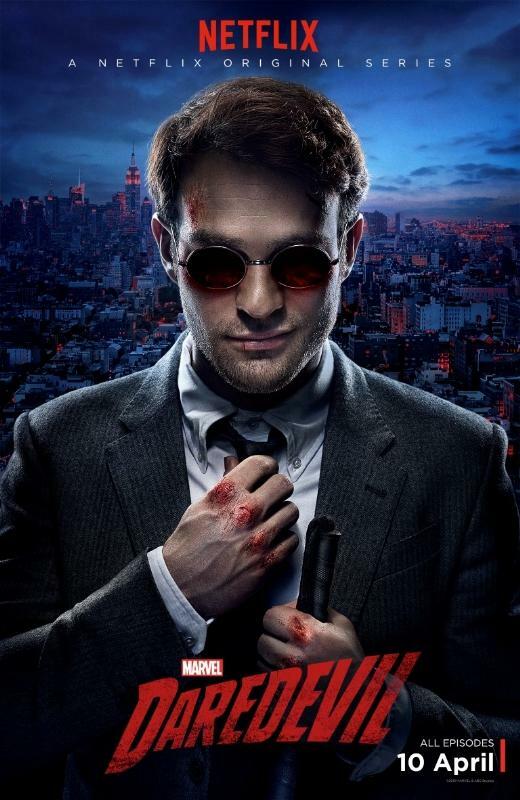 Marvel Studios is bringing Matt Murdock back into live action in cooperation with Netflix. So far the trailers look to perfectly encapsule the feel and tone of what the character should be in live action. With Boardwalk Empire alumn Charlie Cox as Matt Murdock and Vincent D’Onofrio as Wilson “Kingpin” Fisk, the casting is on track as well and it all looks very Miller inspired. 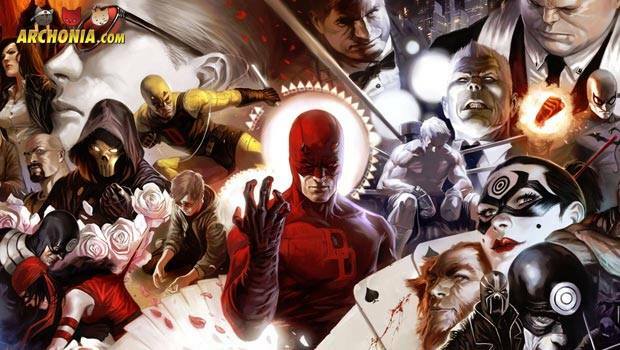 I also think that Daredevil will work especially well in a series environment as opposed to movies, since most of his stories are smaller crime stuff and not the typical “saving the world” or even “saving the city” scenarios you get in most superhero movies. That way you have more time for character work than a movie could ever provide and you also simply don’t need the huge budget of a summer blockbuster to tell those smaller scope tales. 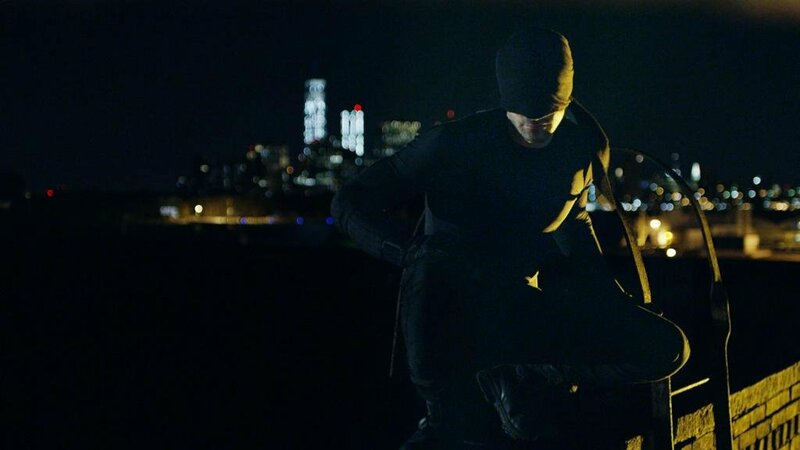 Daredevil’s first season will drop on Netflix world wide on April 10th (look for a review on the Archonia blog a few days later). Shortly after Marvel Studios will bring more Netflix shows to three characters: Jessica Jones (shooting right now in NYC), Luke Cage and Iron Fist. After all those have aired, they will assemble for a team up Netflix show, called “The Defenders“. So don’t despair if you have finished the initial 10 DD episodes in a single binge watch because there will be more of these street level Marvel heroes coming up! So if you have been a fan of the character all you life or only the last few months, I hope you enjoyed this brief tour through Hell’s Kitchen. If you never gave the character a chance, or simply didn’t care for him, I hope you will find yourself compelled to give one of the stories I mentioned a chance. Or maybe you will check out the upcoming Netflix show. 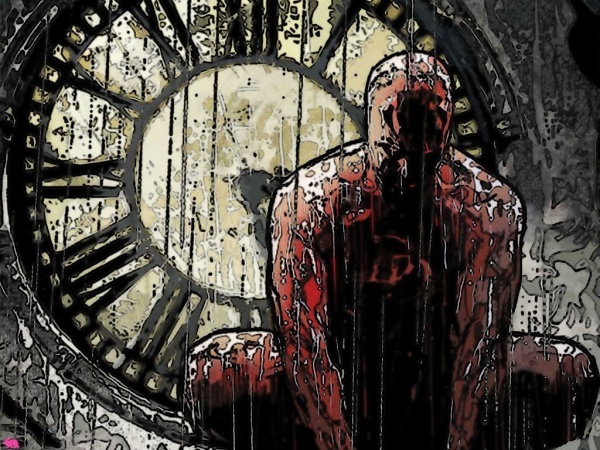 Daredevil is a really cool character if you are into street-level superheroes, with a big helping of darkness and grit! I always thought he would be a poor man’s Batman and never gave him a chance until a guy in a comic book store twisted my arm and forced me to give the Brian Michael Bendis run and “Man Without Fear” a chance (Hi, Bruno!) and from there on I never looked back. Now he is among my top 3 favourite comic characters of all time! One of Marvel’s most unique and most interesting characters without a doubt! And also one with the most amazing runs ever (from the early 00s it was Kevin Smith, followed by Bendis, followed by Brubaker, followed by Diggle and now Mark Waid!)! I would recommend starting with Miller’s “Man Without Fear” and then diving into Bendis’ run first, like I did around 12 years ago. You will not regret it, I promise you that!